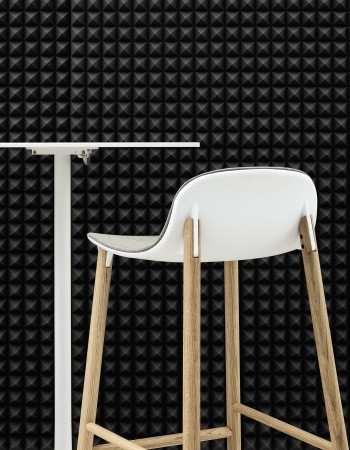 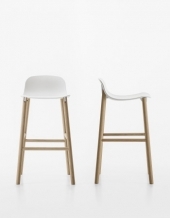 Two sinuous stools with narrow lines and an overall effect that is extremely resistant. 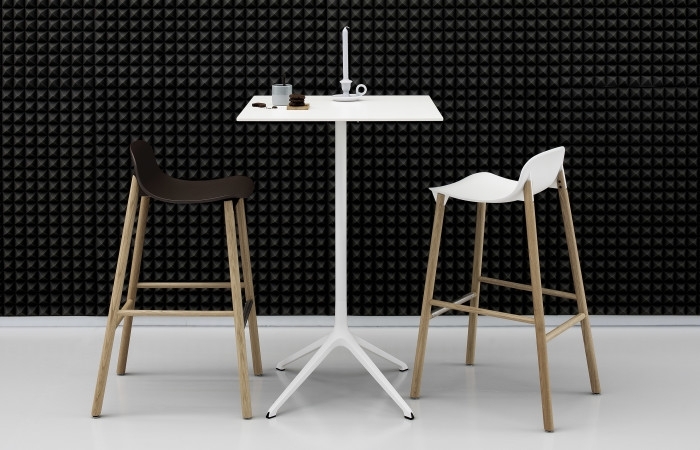 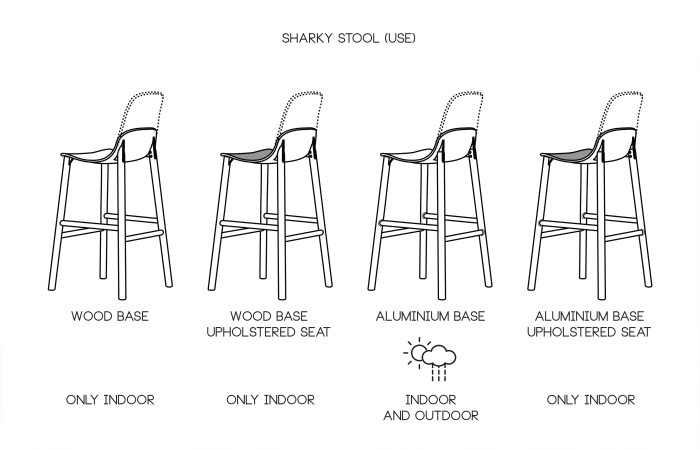 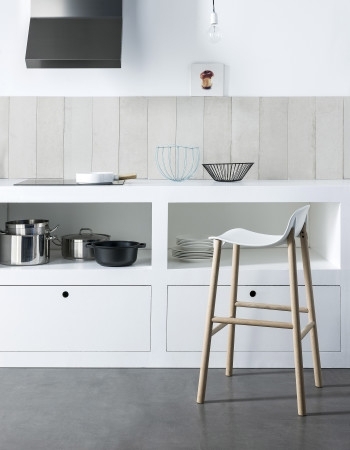 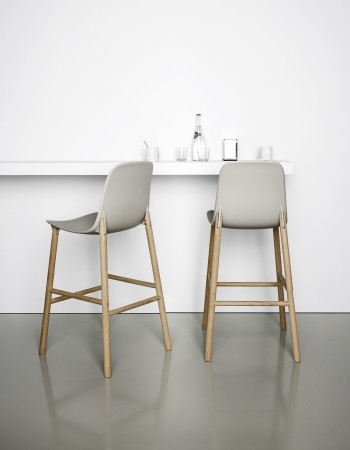 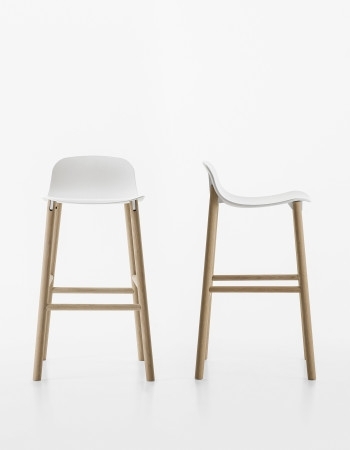 The high stool entirely replicates the seat of the chair and becomes a comfortable bar stool, whereas the low stool has been shortened for a more harmonious overall effect. 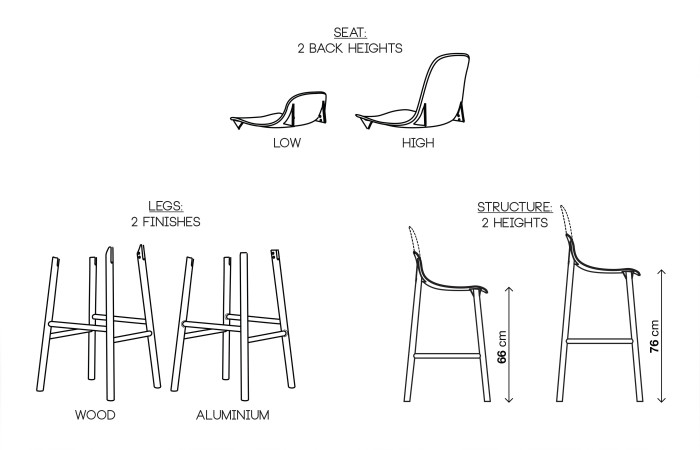 The two fin-shaped coupling elements clearly remain on the rear part, as a linking element between the frame and the base; a technical detail that is the key characteristic of the project. These two versatile seats are ideal for use in the home or as a distinguishing feature of a project at a restaurant, bar or hotel. 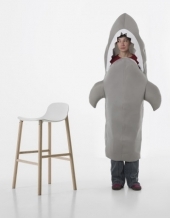 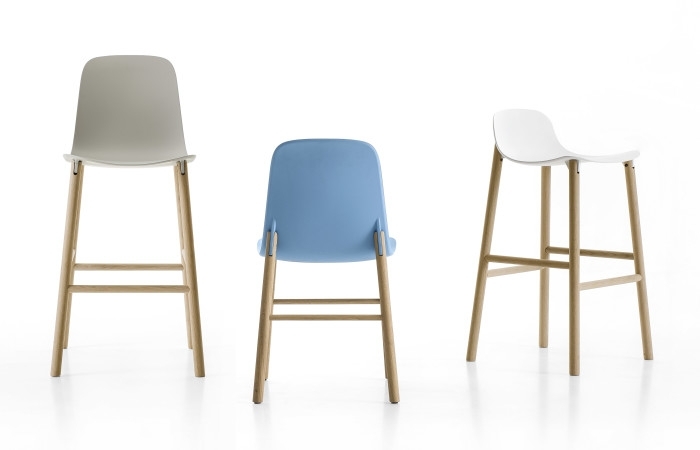 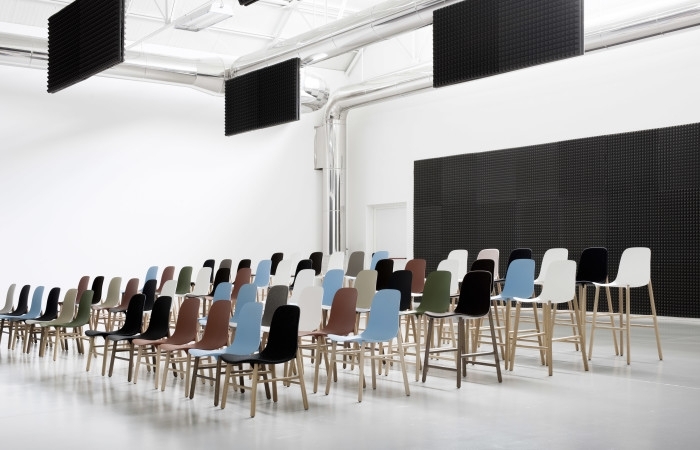 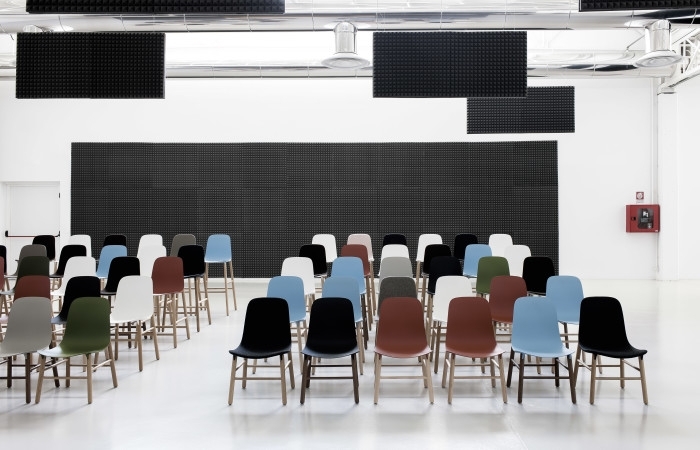 The Sharky stool can be fitted with light padding and upholstered in high-quality Kvadrat® fabric in different colours that create many combinations.